HERALD WAR REPORT: News, notices and adverts from the Morpeth Herald, January 28, 1916. We have been requested by the military authorities to warn the general public in Morpeth and district of a bomb practice which will take place tonight (Friday) between 6 and 7 o’clock in the neighbourhood of Cottingwood. If any heavy explosions are heard they will know the reason. An excellent concert, arranged by Mr T. Swinney, jun., and Mr E.C. Jackson, was given in the Soldiers’ Institute, Morpeth, on Thursday, last week. Mr Jackson presided over a large attendance. Part songs were excellently rendered by the following:— Messrs Maidens, J. Miller, J. Jobling, C. Wilkinson, E. Lewins, and Alf. Marshall. Others who contributed to the programme were:— Mr Marshall, and Mr G. Middlemiss (songs), and Mr F.C. Jackson violin solos. Those who acted as accompanists were Mrs J.L. Jackson, Miss Middlemiss, Miss Mary Jackson, and Mr G. Willis. On the call of Signaller Still a hearty vote of thanks was accorded to the singers and chairman. Last Saturday night was the first anniversary of the opening of the Institute, the occasion being celebrated by the holding of a concert provided by the soldiers themselves. Mr Geo. Renwick, the president, who was unable to be present, in a letter to the secretary (Mr T.B. Waters) said that as this was the first birthday of the Institute, he would have liked to have been with them on such an interesting occasion. He sincerely hoped that the institute would continue to do good work while the war continued, and he had no doubt it would, while it continued under the able superintendence of Mr Waters. Signaller Still presided over a large and appreciative audience. Those who contributed to the programme were:— Troopers J. Elliott, H. Elliott, and Stubbs, Signaller Lance-Corporal Standing, Troopers Sheldon and Holgate. By kind permission of the managers of the Playhouse the artistes Mr Jack Barlow and Mr Orme appeared and entertained the soldiers. On the motion of Trooper Ackerly a cordial vote of thanks was given to the singers. 1ST LINE NORTHERN CYCLIST BATT. To the Secretary, Soldiers’ Institute, Morpeth. Sir,— I have pleasure in enclosing a cheque for £5 as a small donation towards your institute. W.C. SIMPSON, Capt. and Adjt. For twelve months the Soldiers’ Institute, Morpeth, has served a very useful purpose in our midst. The numbers of soldiers who frequent the place daily bear eloquent testimony to the fact that it is just the place they want to spend their leisure hours. Last Saturday marked the first anniversary of the opening of the Institute, and an extra-good concert was arranged for the occasion. By the way, the secretary has been most attentive and diligent in the discharge of his duties. He holds quite a good record of attendances, having only been absent three nights since the opening. Of course, the institute has a host of willing supporters and workers and all praise is due to them for their untiring efforts on behalf of the soldiers during the past year. Many soldiers who have left the town have happy remembrances of the times they spent within the building. In “The Times Supplement to the London Gazette” for January 14th, 1916, appears the name of J.W. Gray as one who had gained the “D.C.M. for services in the field,” whilst a few days previous word had been received that he had been wounded. Up to the 13th inst., assurances were received that he was recovering, and in a cheerful letter from himself on the 11th he said he was doing well and hoped to be removed to the base, and thence to England in a few days. News from the War Office being received on the 13th that he died of his wounds in the 1st Canadian Hospital Etaples, on the 12th inst., further confirmation came to hand on Tuesday of this week. Sergeant J.W. Gray was a native of Morpeth, but had lived at Whitley Bay for several years, being employed as clerk in the goods department of the N.E.R. at the Forth and Newcastle Quayside prior to outbreak of war. He was a member of the Territorials, and an earnest member of the St John Ambulance Association, conducting classes for years. He was a member of the R.A.M.C. attached to the 5th N.F., with the rank of sergeant, going away nearly a year ago into active service. From that date he had had a very strenuous time, and by his heroic work was recommended for the D.C.M. For years Sergeant Gray had been actively associated with the Friendly Society movement, acting local secretary to the National Independent Order of Oddfellows for Newcastle. As a citizen he was of a quiet and unassuming nature, but was held in very great esteem by his employers, his colleagues, and all who were privileged to know him. And his indomitable courage on the field of battle gained for him many glowing tributes of affection and gratitude from those who had the best chances of seeing him. It may truly be said that he gave his life ungrudgingly in this great world struggle, and Whitley Bay loses an heroic citizen. He leaves a widow and two children to mourn his loss. A meeting of the Northumberland Education Committee was held yesterday at the Moothall, Newcastle, Sir F.D. Blake, presiding. The Chairman, referring to the above resolution, said they had to look at it from the view of an Education Committee. In their rural districts there was something over 1,800 boys between 12 and 14 years of age. This matter had been mentioned on one or two occasions at the County Council. The last time he had said that they would look upon the proposals favourably, provided they were satisfied there was a real shortage of agricultural labour in the districts where application was made; and secondly, that the person alleging shortage satisfied them that he had made every effort to get older men and women. He must also satisfy them that the boy would be taken care of. That was what he said at the County Council. Mr J. Craigs thought that boys of the age of 12 should not be included in the resolution. If they took a boy away at that age from school for a period of six months he was not likely to settle down at school again because he had been unsettled. He contended that an application from any person should be considered on its merits. Would the applications be considered by the local managers of this Committee? The Chairman: All applications should come before this Committee. Mr Craigs: I am glad that is the case. The question cannot be treated lightly. Mr C. Nuttall thought more could be made of the help of soldiers and civilians when required during certain times of the year. While anxious to do everything possible to help the farmers they should be very careful when children were released from school for work on a farm. Ald. J. Hogg said they might take each application on its merits. Mr R. Gilbertson thought they should not let the children leave school altogether. In his district there was no need to tamper with the children at all. They had any amount of girls who could do the work on the farms. A committee was appointed to wait upon the War Agricultural Committee and discuss the matter with them. Sergeant J.W. Gray, R.A.M.C., late of Morpeth, has died from wounds received in action in Flanders. Private Hugh Martin (12784), 13th N.F., son of Mr and Mrs Martin of Park Road, Blyth, has died of wounds. Seaman Clifford Bowen, R.N.D., Hood Battalion, son of Dr. D.R. Bowen and Mrs Bowen, of Cramlington, has been wounded at the Dardanelles. Mrs A. Bennett, of 40 Edwins Avenue, Forest Hall, has received news that her brother, Private D.R.H. Elsworth, 2202, Royal Engineers (transferred from the 5th N.F. ), has been wounded a second time and is in hospital. Mr and Mrs Armstrong, of 4 Terrace Row, South Cramlington, have been informed that their third son, Private Wm. Walton Armstrong, 10th Yorks, was wounded in the leg by shrapnel whilst in action in France on December 30th, and is now lying in the 26th General Hospital in France. News has been received at his home at Spital Tongues, Newcastle, that Private Wm R. Peggie, 1/5th Northumberland Fusiliers, is now in hospital in France suffering from gunshot wounds in arms, face and chest (slight). Peggie is a well-know Town Moor golfer, and was formerly greenkeeper to the Morpeth Golf Club. He was wounded and gassed in a previous engagement, but had fully recovered and returned to duty. Mr and Mrs James Ions, of Ponteland, have been officially notified that their son, Private Chas. R. Ions, was killed in action on December 28th. Private Ions, who was an old Territorial, rejoined the 5th N.F. (T.F.) in September, 1914, and left for France in April last year, being attached to the Bomb Section. For a number of years he was a playing member of the football and cricket clubs, and in the summer of 1914 he won both the batting and bowling prizes given in connection with the latter. Private Ions was a member of the local branch of the N.I.O.O. BRADBURY.— Killed in action on Christmas Day, Edward, beloved husband of Mrs Bradbury, of 36 Bedford Street, North Shields, late of Pegswood and Ashington. MARTIN.— Killed in action on January 16th, Hugh, dearly-beloved husband of Annie Martin, of Front Street, Guide Post, Choppington. — Deeply mourned by his loving wife and family. Sleep on dear Hugh, in a far-off grave. But as long as life and memory last. We will remember thee. NICHOLS.— Killed in action at the Dardanelles, on the 24th of December, 1915, aged 20 years. Thomas Nichols, R.N.D., Hawke Battalion, beloved son of Henry and Mary Ann Nichols, of 13 Allan Road, Newbiggin. — Deeply mourned by his sorrowing father, mother, brothers and sisters. On Saturday evening a grand display of dancing was given in one of the large wards of the Northumberland War Hospital by the pupils of Miss Spalding for the benefit of the wounded soldiers. The dances, which had been specially selected and arranged by Miss Spalding for the occasion, were beautifully performed in appropriate costumes, and were thoroughly enjoyed by the men. Through the good offices of Mr Reuben Hodgson, cars, provided by the V.A. organisation, were in attendance to convey the youthful dancers from the hospital — a service which was much appreciated. There is to be a Labour Conference at Blyth on Sunday morning, at which Mr John Cairns, the prospective candidate for Morpeth Borough is to make a declaration of the political faith that is in him. Mr Hunter, the new labour organiser, evidently means to hustle, no matter how quiescent other party politicians are these times. When he and his associates organise these conferences they evidently believe that the better day the better business, for it is very unusual indeed to have such meetings on Sunday, which will involve many of the devout delegates missing their devotions at church and causing other poor people to work on the seventh day. The meeting, however, will be an interesting one, and Mr Cairns’ manifesto will be looked forward to with not a little interest in spite of the strenuous times we are living in, the tenor of speech we may not be justified in anticipating. ”Since the outbreak of war the Labour Party has nominated a candidate and appointed a political agent for the Borough of Morpeth, and are now evidently engaged in creating a political organisation to further the candidature of their nominee. 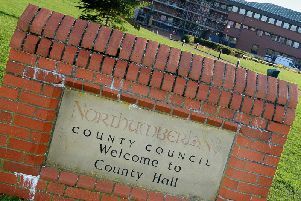 “All of this is a direct challenge to the other existing parties in the Borough of Morpeth who consider it a distinct violation of the terms of the party truce. “I therefore warn the Labour Party and their candidate that if they introduce party strife into the Borough of Morpeth whilst thousands of our brave lads are away fighting and dying for their King and country, the electors will, when the proper time arrives, hold them to strict account. The urgent appeal and generous response of men to serve their country is having its effect, not only in industrial concerns, but also in business undertakings. In some of these it is possible to replace by female labour, but in others it cannot be done. Many pressing and urgent improvements are highly essential, but are held in abeyance for the want of the necessary skilled worker to carry it into effect. What is then our position under the circumstances? The claim of the nation is of paramount importance, and it is our duty, rich or poor, skilled or unskilled, to make such sacrifices to bring to a successful termination a war that has no equal in the annals of history. There is no denying the fact that we are experiencing many disadvantages since the outbreak of war. The high cost of living, and particularly foodstuffs, is hitting hard the worker whose weekly earnings are large. When we compare our position with those of other countries, where the ravages of war are prevalent, we have at least some reason to be thankful. When comparison is made with the countries of Belgium, Poland and Serbia, whose populace are without home or habitation, there is need of thankfulness that we are spared these privations. The contrast is great, and much to the advantage of us in the British Isles. Bales have been despatched to the First and Second Northumbrian Field Company, Royal Engineers, in which a number of men from Morpeth and district are serving in France. Tea was given on Thursday, 27th inst., by Mrs Joseph Simpson, Howard Street, and realised £1 2s. Dear Mr Mayor,— I have pleasure in forwarding you the enclosed ten shillings note in aid of your War Sewing Meeting Society. I am sending to you by parcel post tomorrow 2 shirts for the soldiers. Wishing you every success in your noble work. —I am, yours sincerely, Mary Burt. “That we, the miners of the Hazelrigg branch of the Northumberland Miners’ Association, protest against the action of our representatives when attending the Miners’ Federation conference in London voting against the Compulsion Bill. “Their decision we consider to be very arbitrary, as the representatives have no mandate to vote against the Bill, more especially when it is known that thousands of our young men are defending our country on land and sea. “Also we desire to place on record our appreciation and confidence in Mr J.M. Robertson, M.P. for Tyneside, in voting for the Bill, and we pledge ourselves to support the Government in making the Compulsory Bill law for the duration of the war. Owing to the war and the unsettled state of affairs in the country in consequence, it was decided at the annual general meeting in January last that it would be impossible to hold a show during 1915, and events have proved the decision to have been a wise one, as the usual facilities could not have been granted, and as the hotels on the East Coast have been and still are fully occupied by soldiers, the necessary accommodation could not have been obtained. At the same meeting it was unanimously agreed to ask for the usual subscriptions during the year, and those have been mostly collected. The Council, after due consideration, recommended that the ordinary subscriptions be not asked for this year, but that members be requested to pay a nominal subscription of two shillings and sixpence only with the object of keeping the membership together. The council have seriously considered the possibility of holding a show during the year, 1916, and whilst the decision will rest with the annual meeting at which this report will be considered, they have reluctantly come to the conclusion that under the circumstances which exist at present they feel themselves compelled to recommend that no show beheld. The annual meeting will be held at Berwick tomorrow (Saturday) at 1.15pm, at the King’s Arms Hotel. COMFORT FOR THE BOYS OF THE 7TH N.F. The Mayor of Morpeth (Ald. E. Norman), Mr W.H. Banister (Netherton), Mr Hunter (York), and at 5/- by Richard Elliott, Mr R Pagon (Rothbury), Mr Fulthorpe (Morpeth), Mr J. Pattison (Cross Row, Ashington), and Mrs Amlett, being sold out at £2 15s. to Mr Eastlake (Pegswood), total £7; also Canon Davies gave me £1, bringing up the total for the day to £10 9s. 6d. The Morpeth boys of the 7th Northumberland Fusiliers have a good friend in Mr T.B. Waters. He knows that the lads who are “facing the music” in the trenches like comforts just as much as those who are at home. He has interested himself in the boys on more than one occasion since they left the ancient borough to do their little bit, and in order to raise funds he organised a very successful sale which was held in the Market Place on Wednesday. He disposed of quite an assortment of goods given by a number of friends. Included in the “goods” that came under the hammer was a first-class phaeton. His efforts were entirely successful, and the amount realised will purchase a lot of things that Tommy likes best. So now there are some nice things in store for the local lads of the 7th N.F. at the front. On Thursday evening last a barn dance was held in the Granary, Dogger Bank, Morpeth, promoted by Mr Shotton, Oldgate, Morpeth to help to provide comforts for the Morpeth lads at the front, and was well attended. Dancing was kept up with much spirit until the small hours of Friday morning. The proceeds amounted to £6 after paying expenses. The committee thank all their patrons, and also Messrs Waters and Robson for mineral water. Great interest was centred in the military race held at Morpeth last Saturday afternoon. It was promoted by the North-Eastern District Committee of the Northern Command Cross-country Association, and was open to troops stationed on the North East Coast. C and D Coys., 3/7th Northumberland Fusiliers. C Company, 3rd Sherwood Foresters. B Company, 3rd Sherwood Foresters. E Company, 3rd Sherwood Foresters. F Company, 3rd Sherwood Foresters. D Company, 25th Provisional Battalion. A and B Coys, 1st Northern Cyclists. A Company, 4th Durham Light Infantry. B Company, Durham Light Infantry. C Comapny, Durham Light Infantry. D Company, Durham Light Infantry. E Squadron, 2/1st Denbigh Hussars. C Company, 4th Sherwood Foresters. B Company, 24th Provisional Battalion. C Company, 24th Provisional Battalion. F Company, 3rd Durham Light Infantry. A Company, 84th Provisional Battalion. A and B Companies, 3/6th N.F. A Company, Third North Staff. C Company, Third North Staff. The course, which was over a distance of seven miles, was selected and arranged by Capt. Dewhurst, adjutant 2nd line Cheshire Yeomanry, and Captain Parmeter, adjutant of the 3/6th Northumberland Fusiliers. Commencing at the Town Hall, competitors proceeded down Bridge Street, turning to the left out of the town, and then the first turn to the right, and at Hebron again to the left; another left turn brought the pack out on to the main road, from whence they ran back to Morpeth, finishing in Newgate Street. The general arrangements were in the hands of Capt. Rev. R.D.R. Greene, senior chaplain, Tyne Garrison, assisted by Chaplains Duncan, Grey, and White, and Rev. P.H. Hart, and Mr Geo. Lemon. Before the time fixed for the race — three in the afternoon — hundreds of the townspeople and the military had assembled in the Market Place to witness the start. Among those present were Major-General R.A.K. Montgomery, O.B., D.S.O. ; General Officer commanding the Tyne Garrison; Lieut.-Colonel Verdin, officer commanding Cheshire Yeomanry; Lieut.-Colonel Kavill, officer commanding 3/6th Northumberland Fusiliers; Lieut.-Colonel James, Officer commanding South Staffords; Mr and Mrs George Renwick of Springhill; the Mayor (Ald. Ed. Norman), and the Rector (Canon Davies). Great excitement prevailed when the 345 runners toed the line in the Market Place, and at a signal from Major-General Montgomery, who acted as starter, the competitors went off down Bridge Street with a fine swing. A strong wind and the soft condition of the course made heavy going, but notwithstanding those drawbacks some good times were registered. The race resulted in a win for Lance-Corporal Hatton, of the Sherwood Foresters, who has had a succession of notable wins in connection with those cross-country runs. He covered the course in 40 minutes 6 4-5secs. Thanks to the efforts of the Rev. F.C. Hardy, who was in charge of the local arrangements, the competitors, stewards, and officials were entertained to tea after the race. In order to accommodate all the competitors tea was served in the Soldiers’ Institute, where Mrs Geo, Renwick and the ladies of the Institute superintended, and in St James Infant School, where the members of St. James’s Communicants’ Union were in attendance. The officers and officials were entertained at Thorpe’s Cafe.